The unique location of the Skyline Hotel & Waterpark on Falls Avenue Resort has allowed the Skyline to develop partnerships with a number of hotels, restaurants, and attractions offering guests an abundance of choices in one location. 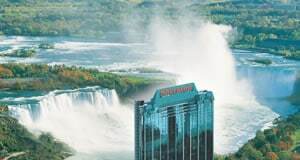 Located directly across the street from the Falls, the 4-diamond Sheraton on the Falls combines a perfect location with superb guest service and first class hotel amenities. 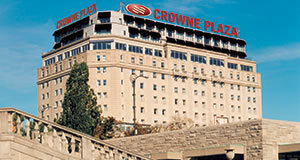 The Grand Jewel of Niagara Falls is the historic four star Crowne Plaza hotel. Host Kings/Queens, Prime Ministers and Hollywood elite in its 80 year history the Crwone truly combines historic elegance with modern amenities. 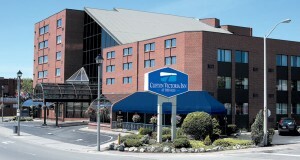 The Three star Clifton Victoria Inn at the Falls is located one block from Niagara Falls and across the street from all of the attractions on Falls Avenue Resort and Clifton Hill. The Clifton Victoria Inn remains a guest favourite thanks to exceptional complimentary services.